As I sit here in my sister’s bright Florida kitchen, I am reading the news about Anthony Bourdain. I am shocked and saddened, as I would be at any suicide. But this one hits particularly hard for me because I too have fought depression and addiction. When I read Kitchen Confidential several years ago I laughed at the funny parts, just like everyone else, but that book went a LOT deeper for me. As I read it I felt like we were separated at birth, because so many of his experiences mirrored my own. Not all of them to be sure, but many of them. Grubby kitchens, being put in my place by long time workers, putting rookies in their place once I became the “old guard”, on some days I WAS the “waitron” he wrote about. And then there were the episodes of showing up to work high, snorting coke in the bathrooms, being hungover or drunk, or both, and working any way. 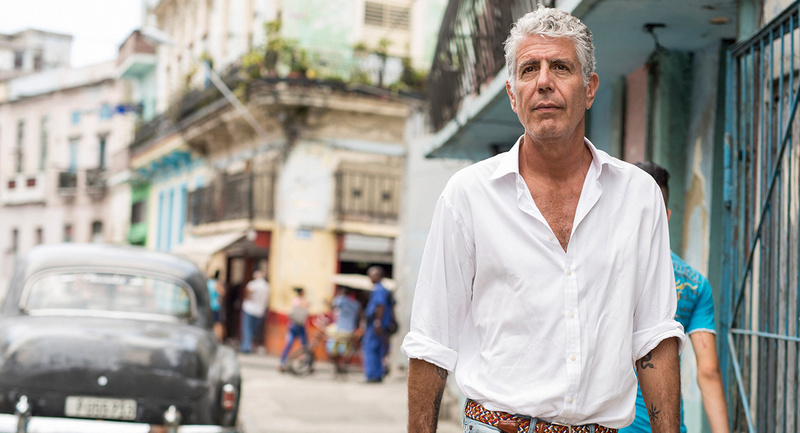 Like Chef Bourdain, I fought addiction – my drug of choice was cocaine. Becoming addicted was easy. My boss gave it to me because I worked well when I was high. He would literally line it up for me in the locked employee bathroom and hand me the key. I never once paid for my drugs and that made the addiction even easier. As a cocktail waitress in the ‘80’s, people would HAND IT TO ME AS A TIP. I didn’t realize how bad I had gotten until my then boyfriend, now husband of nearly 31 years, told me, and I quote, “I love you, but you can’t have your drugs and me. You have to make a choice.” That was March 20th (coincidentally, my Dad’s birthday) 1987. I haven’t done cocaine since then. And believe me, there were early ­days of my being clean that I wanted nothing more than to get high. Each day I walked away from it, the walking away became easier and I barely think of those days now. Like Chef Bourdain, I have fought depression all of my adult life. I have been in counseling three times. I tried a slew of different meds and none of them worked. They all, without exception, ended up being tossed out. Most of them got tossed because they made me feel like a zombie or a visitor in my own skin. I felt nothing; no depression, but no joy either. So I fight my depression in my own way, with the help of trusted friends and my family. There are days I have to talk myself off the ledge. There are days when I have to fight the urge to kill myself. The things that have stopped me have been my husband and my son. And wondering who would find me. And who would have to clean it all up. So each day I have to wake and tame the dragon of my darkest thoughts and continue on. And I do. Some days the fight is hard and when I WANT to be alone and I know I shouldn’t be alone, I call a friend. These are coping skills I have developed that work for me, but everyone is different. The death of this gifted storyteller, amazing raconteur, honest and talented writer, chef, and public personality has really shaken me. I have never publicly shared this candid and raw picture of myself. I am doing it for one reason and one reason alone. If you, or someone you know, is fighting for their literal life with depression, reach out. Help them. Lend and ear or a hand. Because I fight my own dragon, I can’t always be there for the ones nearest and dearest to me, but when I have my dragon chained up, I help when I can. Suicide is often preventable, but it is up to us to remove the stigma of depression, to not think less of someone seeking help, and to not marginalize mental health.